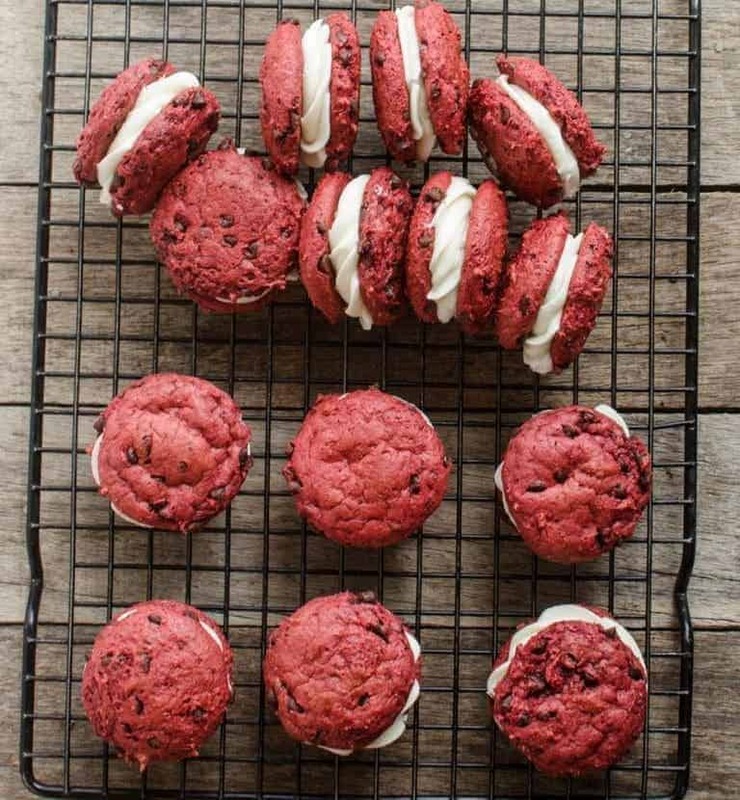 Easy Red Velvet Sandwich Cookies that start with a cake mix are pretty-in-pink crowd-pleasers that are perfect for Valentine’s Day. 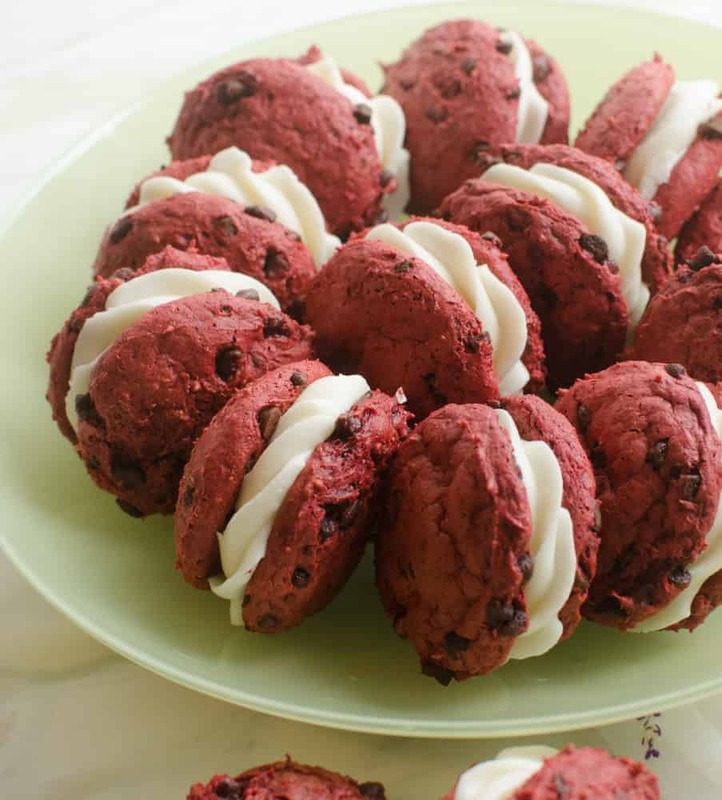 With Valentine’s Day just around the corner, I wanted to share a few sweet recipes with you, and these Easy Red Velvet Sandwich Cookies topped the list. 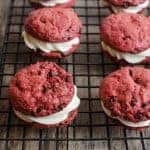 I like this recipe because I love sandwich cookies, they are such a perfect color for Valentine’s Day, and they are easy! You know that I’m not afraid of using a box of cake mix to “cheat” a little on a recipe, and this recipe is one that starts with a cake mix too. Hooray for taking a short cut once in a while (if cake mixes aren’t your jam, I have a few other amazing desserts coming your way, so hang on!). My kids love the holiday too! I like to decorate (felt heart garland here), I make a shrimp dinner and put little candles all over the table for dinner, and we tell each other what we love about the others. It’s low-key and so enjoyable. I think the timing is great too. February 14th is about 6 weeks into the year. For the last 6 weeks, I’ve been great about feeding my family lots of fruits and veggies and cutting way back on sugar (thank you New Years resolutions), and by the time Valentine’s rolls around I’m ready to make a delicious treat or two. Easy Red Velvet Sandwich Cookies are a crowd-pleaser, and I normally make a batch of these red velvet brownie cheesecake bars to share with friends. Both of these recipes are so pretty and perfect for sharing. This recipe is from my sister in law Beth. 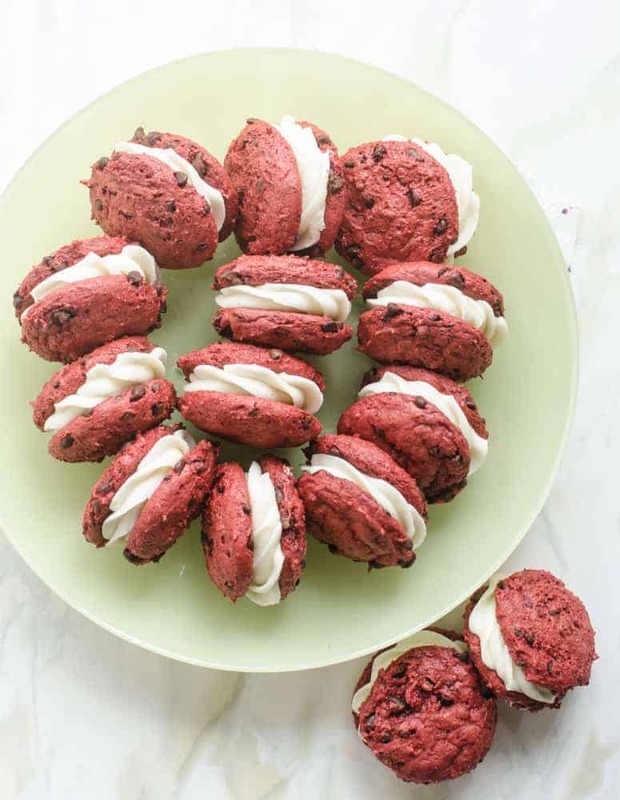 If you are looking for a good cream cheese icing recipe, I like this one from I am Baker. Mini chocolate chips are the way to go here! The big ones are a bit too large and hard for this recipe. 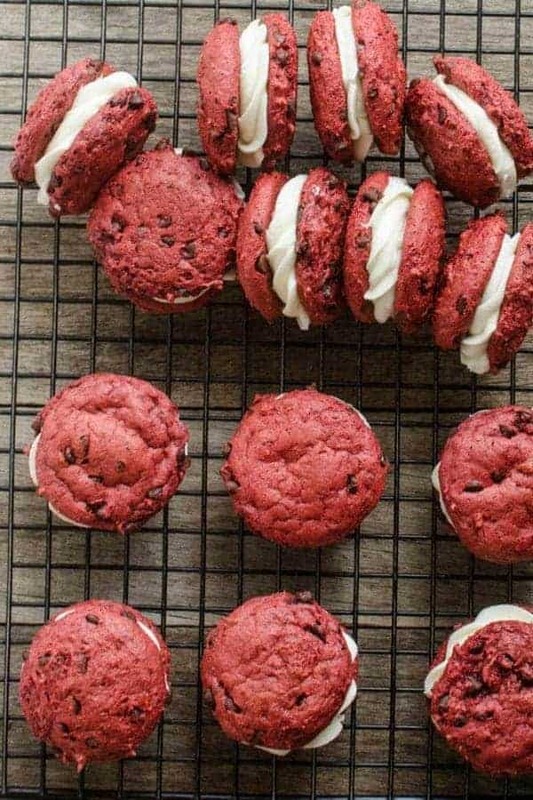 How do you make red velvet cookies with cake mix? It’s easy! All you need is a box of red velvet cake mix, instant pudding mix, sour cream, eggs, and mini chocolate chips. Mix the ingredients together to form a stick dough, scoop it on a baking sheet, and bake! Cookies couldn’t be easier. 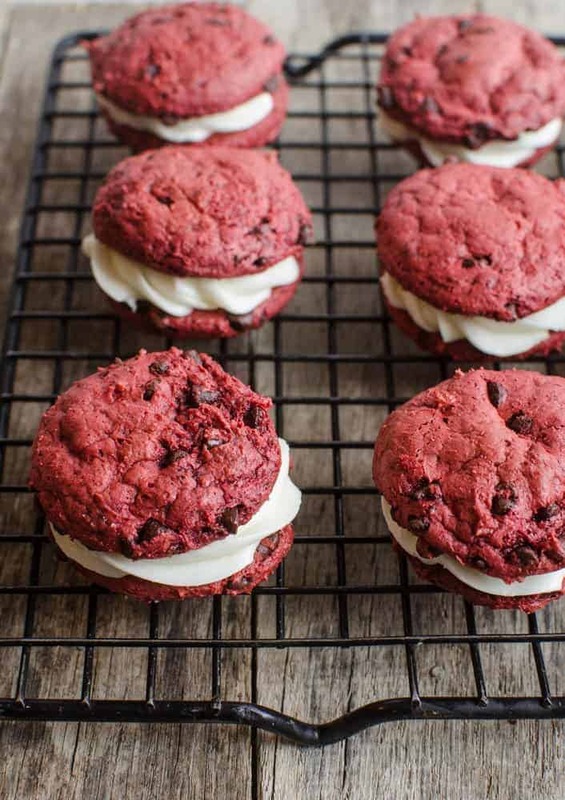 Making them sandwich cookies just makes them all the better. Preheat oven to 350 degrees. In a large bowl, mix together the cake mix and the dry pudding mix. Add the sour cream and eggs and mix well. Use cookie scoop to drop the dough onto a parchment lined baking sheet (about a tablespoon of cookie dough per scoop). Bake for 8-10 minutes. Remove from the oven and cool completely. Prepare your cream cheese frosting. Pipe frosting onto the bottom of one cookie and then stick it to another cookie of similar size and shape. Store extras in an airtight container in the fridge (since there’s cream cheese in the frosting). Did you know that I love Valentine’s Day?! It’s such a fun holiday for me. Four years ago, I posted some of my favorite Valentine’s memories and I wanted to share them again today. I love Valentine’s Day and I have my whole life. I have a few favorite memories of the day and if you’ll let me, I’ll indulge in telling them to you. Memory 1: In second or third grade, we were asked to make a Valentine’s mailbox to hold the valentines our friends gave to us. I remember making a pink Valentine pig with a slot in its back for the Valentine’s. He had a heart-shaped snout and ears and a curly tail. It was adorable, I knew it, and I was oh so proud of that pink pig. Memory 2: My mom isn’t super into holidays. She’s pretty low-key and raised six children, so she had plenty to do besides decorate or celebrate the little holidays. One year, however, I remember her making my bed while I was at school and placing a small chocolate heart and a box of conversation hearts on my freshly-made bed. The image of my bed as I walked into my room is still vivid in my mind. That small act of kindness, which she probably has long forgotten, is one of my favorite memories. Thanks Momma. Memory 3: I had a really tight group of friends in high school, and within that group was a boy that I dated steadily the last few years high school. It was really fun to date a guy that was already friends with all my friends and vice versa. He and I spent as much time with our group of friends as we did doing our own things. Our senior year was straight out of High School Musical 3; amazing, memorable, and surrounded by so many people we love. Ferg (what we all called him), my high school Troy Bolton if you will, and I were the only couple in our friend group in February of our senior year. Instead of doing something alone, we decided to throw a fancy dinner party for all of our friends. We passed out invitations, I borrowed lead crystal serving bowls from my grandma, and we went shopping together. Valentine’s Day was on a Friday that year, so after school I commandeered his mom’s kitchen and cooked my heart out. I remember just what we ate and that the whole green beans were still crunchy when I served them (who knew fresh green beans took so long to cook?!). I can almost tell you who was sitting where around the table we lovingly decorated. I loved that night. It was so much fun to share that day, as the school year was ending, with some of my favorite people. 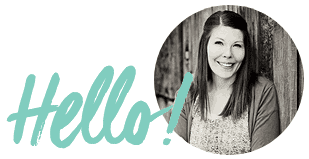 Memory 4: A few years later, I found myself at BYU in an apartment with 5 other girls, including my sister. That year for Valentine’s every single roommate had a boyfriend and every single roommate ended up with a bouquet of flowers (I have since been corrected that one bouquet was from a dad and not a boyfriend); everyone except me, that is. The flowers weren’t tucked onto bookshelves or desks in their bedrooms either; they were all proudly displayed on the kitchen bar for all to see as soon as you entered the apartment. Five beautiful bouquets for an apartment of six girls. Now that just wouldn’t do! While everyone was out I found my own vase and stole one flower from each of their bouquets. I put my five flowers in the vase and set it in line with the others. Six bouquets for a six girl apartment, now that was more like it. I spent that night, while everyone else was out on a date, in a hot tub with fancy homemade drinks and my best friend Chelise. It was a cold rainy February night in Utah so we took umbrellas to the hot tub with us to keep the cold rain off our bare shoulders. Have you ever seen someone sitting in a hot tub in the rain holding an umbrella? I bet we looked pretty funny, but it was one of my favorite nights ever. Aren’t those great memories? Valentine’s Day is great single, dating, married, and everything in between. I can’t wait for you to give these a try. 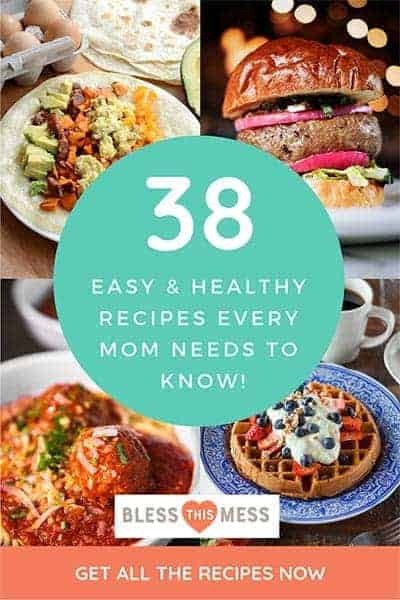 While writing this post, my kids kept asking when I was going to make these again… I guess I’ll be making another batch too! ENJOY, from my kitchen to yours. Though it’s been cold here, a few of the newer hens are still laying. 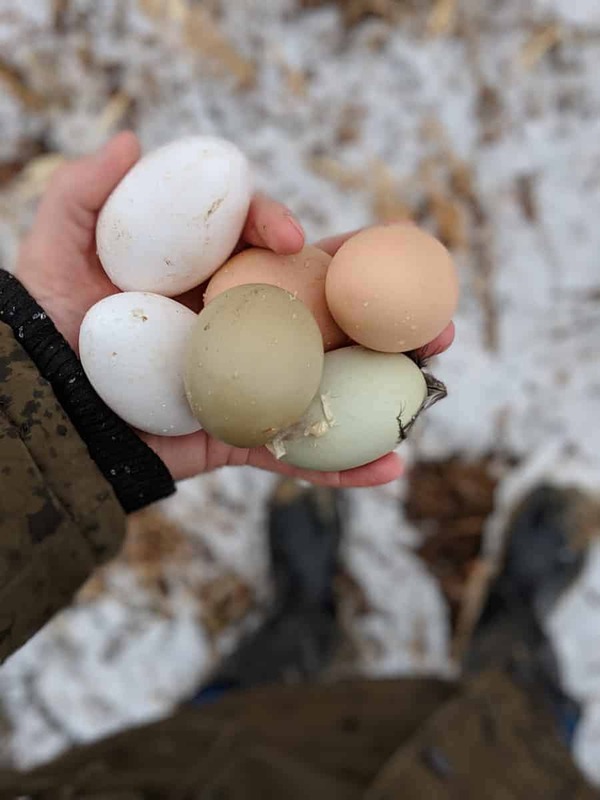 In the summer I have eggs coming out my eyes but when the winter hits, cold temperatures settle in, and daylight is in short supply, I have very few. I handle these precious few with more care. I cook with them with intention and purpose. I appreciate the gift a little more. Nothing like having less to make you appreciate more. I just saw chelise at parent teacher conferences. I didn’t know I moved by her! We talked abt how we are excited to visit you when your new house is done! PS my family loves your red velvet and regular cheese cake brownies! Awwwww! Yes please! And we’ll have Anna come up too. Taco Bell reunion! I’m trying these when I get home today. Thanks! Happy valentine’s day!